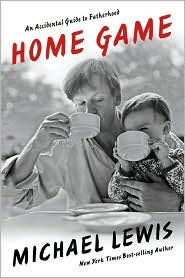 Home Game By Michael Lewis. This is a memoir about the authors experience of fatherhood. Great cover photo. Good writing. At first the reader (I can only speak for females here) thinks how cute and sweet and funny to hear some (very true!) feelings and experiences that new parents all go through. But ... there really wasn't enough meat in this story to keep me on the edge of my seat. After some "Oh, that's happened to us!" and what a cute dad he is, there is a lot of whining. What women have been accomplishing for all of time, namely motherhood and all that comes with it, can be written a hundred times over. The only thing that is remotely interesting is that guys rarely express themselves and most don't say what they really feel when it comes to parenthood. He seems like a nice guy and entertaining writer but for me, my TBR list is way too long for this. 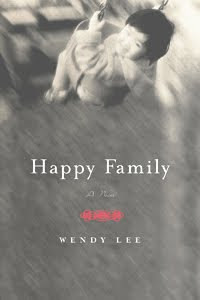 Happy family By Wendy Lee. When Hua Wu arrives in New York City she is like most other immigrants in the big melting pot. She starts working in a restaurant in China Town. One afternoon while resting in a park and dreaming of the future she meets Jane Templeton. Upper class Jane with little Lily befriends Hua and their repor is so great that she hires Hua to be Lily's nanny. Hua continuously relives her past in her mind while adjusting to her new life. She is overworked, taken advantage of and misled in many directions. Quietly she is falling in love with Lily who is adopted and rather resembles Hua more than her mother Jane. While out with Lily people believe she is her mother. As Hua watches Janes marriage deteriorate, she dotes more and more on Lily to protect her from any unhappiness. Interesting idea for this story. Weird twist, unexpected conclusion, not particularly fond of any of the characters. 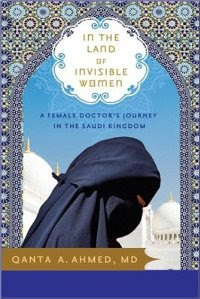 In the Land of Invisible Women By Qanta A. Ahmed, M.D. Dr. Ahmed is denied a renewal of her US visa where she has studied and practiced medicine for the past few years. Of Pakistani descent and raised in England, Qanta is quite the woman of the world. 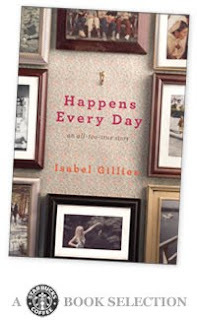 This memoir is written about her life at 31, when she accepts an opportunity to work in Riyadh, Saudi Arabia. The facility is high tech, many of the physicians are U.S. trained and she is looking forward to the exciting adventure of working in this part of the world. Dr. Ahmed is pleased, surprised, apalled and shocked by the many diversities she discovers in this land where one side of the road you may see a camel and the next moment a Porsche zooms on by! She rediscovers her muslim identity and makes a Hajj pilgrimage to Mecca, a once in a lifetime dream. She makes many friends from around the world and learns to work in this extreme environment. In the hospital she is an intelligient, outspoken, confident physician saving lives and in the streets she must be covered head to toe and watch very carefully what she says, whom she is with and where she goes. The differences of many worlds clashing together is both a learning process and frustrating experience. Excellent memoir and insight into another country, another world and a brilliant young womans mind.